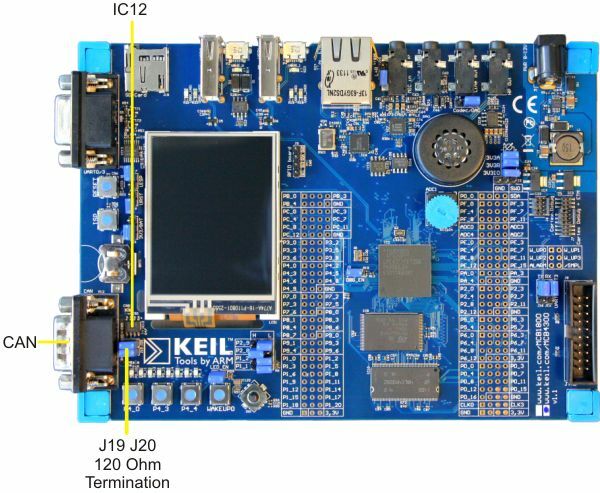 The CAN Interface uses an TJA1040 CAN driver at IC12 on the MCB1800 board. The CAN DB9 connectors are wired so that Pin 2 provides the CANL signal and Pin 7 provides the CANH signal. These pins are connected to a TJA1040 CAN driver. Jumper J19 and J20 incorporates a 120 ohm termination resistor between the CANL and CANH signals. CAN termination resistors make it easy to connect the MCB1800 board to your CAN network but they are not always required. When connecting the MCB1800 Board to a CAN network, you may need to remove jumpers 19 and J20.